Brand New South Facing Quiet Unit at VENUE . Big size studio with approximately 454 square feet of living space. Laminate flooring, 9 feet ceilings thru-out, oversized windows, quartz counter-tops, stainless steel appliances, full sized washer/dryer and good-sized patio. Convenient parking & spacious storage locker . Complex have exercise facility, and impressive rooftop deck with barbecue outlets and sitting areas with views of the city. 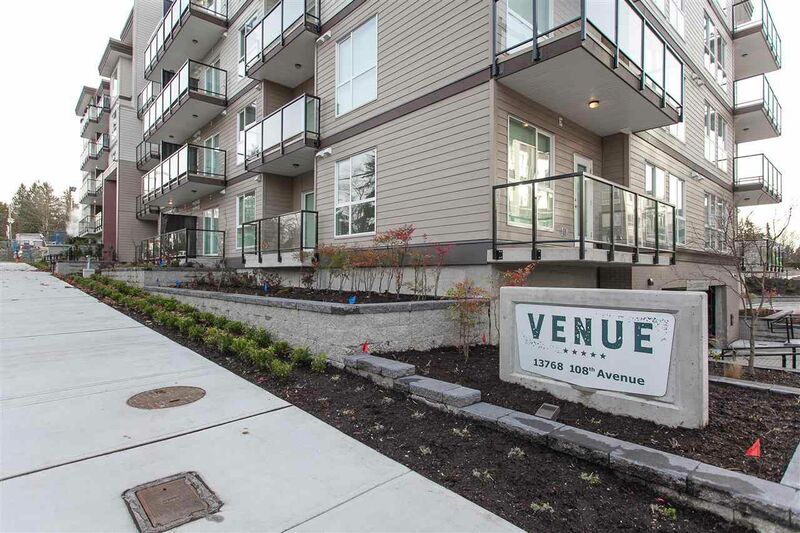 minutes walk to Gateway Skytrain Station, close to Surrey Central Mall, SFU Campus, Public Library, City Hall.No GST, 2-5-10 Home Warranty, 1 year free Internet, TV&Phone offer from Telus!